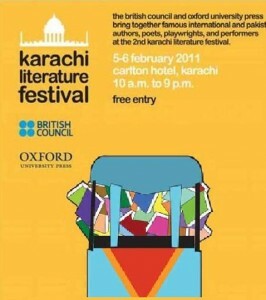 The second Karachi literature festival 2011 took place on 5th and 6th February at Carlton hotel in Karachi. The festival, jointly organized by Oxford University Press and British Council, was aimed at promoting Pakistani writers and bringing them closer to the readers. Festival included book stalls, panel discussions, book launches and creative writing by writers from Pakistan and around the world mainly UK, USA and India. 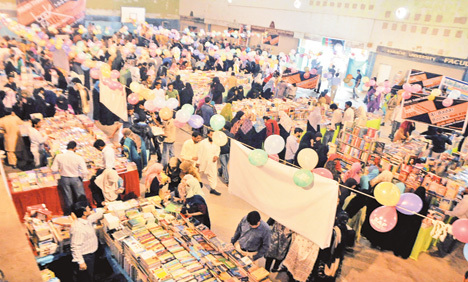 The festival was organized to boost reading and writing trends in Pakistani youth. Huge crowds of people including youth of all ages showed keen interest in the festival. Panel discussions included “Is reading dead and other dilemmas”, the speakers highlighted that reading habit is declining in Pakistan and so is newspaper reading. According to the panelists lack of reading habits brings down the intellectual understanding of matters and that is the key reason why tolerance is vanishing form the society as know one wants to debate and understand any issue and immediately gets down to judgments and conclusions. The panelists suggested that in order to enhance our reading we need to set our priorities right, we will spend endless money on eating junk food but won’t bother to buy a good book as it might sound expensive to us. Noted journalist Ghazi Salahuddin stated: lack of reading habits is a grave matter for the society. Reading habits attribute to the intellectual capabilities of a society. Dr. Adrian Husain who is a noted English language Pakistani author stated that literature is all about morality not just entertainment. Panelists suggested that a dialogue is initiated to get a solution not to be a winner at the end or imposition of your thoughts on someone. Karen Armstrong who is a known author and scholar launched her book “Twelve steps to Compassion”. A Pakistani author was awarded 100, 000 rupees for writing the best non fiction book in 2010. The Karachi literature festival also gave tribute to writer and poet Faiz Ahmed Faiz on his 100th birth anniversary. Hopefully such festivals will promote compassion, tolerance, and an urge to dialogue, learn and understand. 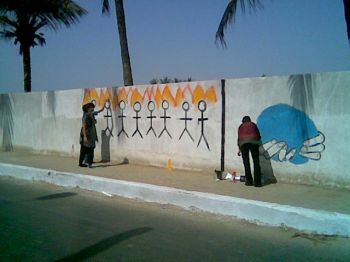 Uprising in Egypt: an Impact of Tunisian Jasmine Revolution? The two-day Karachi Literature Festival came to an end on exceedingly energetic and hopeful note. There were dozens of authors from the Pakistani Diaspora who have made a spot for themselves in the field of authorship and literature in their adopted countries among them Ayesha Jalal and Hanif Kureishi, the Pakistan-origin London-based writer . There was a discussion on literary analysis and Urdu classics and social issues. Certainly Festival was destined to platform the marvelous talent in our country.No doubt the significance of reading books is gaining new imminent or perspectives on issues that matter to the reader that helps them to have a new understanding of the world around them. Readers can apply the insight in everyday life or as a way of building upon the knowledge that already encompasses their mind and enrich their lives. Great. I think books are still important even today after the invent of internet technology.